Home > Home Loan - Banks > Home Loan: How to get credit linked subsidy under PMAY..? Home Loan: How to get credit linked subsidy under PMAY..? Owning a house is one of the most important dreams one has and a home loan helps people realise it. The new credit linked subsidy scheme (CLSS) allows first time home buyers to avail more benefits to own a house and can be utilised for purchase or construction or / extension/improvement of house catering to economically weaker section (EWS), low income group (LIG), middle income group 1 (MIG1) and MIG2 segments. The scheme was launched under the government’s Pradhan Mantri Awas Yojna (PMAY) initiative. Beneficiaries include individuals and women borrowers enabling them to purchase or construct a house. Once the home loan is availed, the government will credit the interest subsidy directly to the beneficiary’s loan account through the help of nodal agencies like National Housing Bank (NHB) and HUDCO. To avail the benefits, one should be a first time buyer of a house. The carpet area of houses being constructed under PMAY should be up to 323 square feet for EWS, 646 square feet for LIG and 969 square feet & 1184 square feet for MIG 1 and MIG 2 respectively. Under the new CLSS scheme those with annual income of up to Rs 12 lakh will get 4% interest subsidy on housing loans of up to Rs. 9 lakh. With an annual income of Rs. 18 lakh one can avail an interest subsidy of 3% on their housing loan for up to Rs. 12 lakh. Irrespective of the amount of loan, as long as the unit sizes comply with the norms laid down, beneficiaries can benefit from the interest subsidy under the CLSS scheme within outlined limits. Given that the penetration of home loan products remains very modest in the affordable housing category, there exists a tremendous unmet opportunity to address housing finance needs of customer segments at the bottom of the pyramid. Banks and financial institutions with a long term, committed focus to facilitate housing finance for borrowers are well placed to benefit from this opportunity, by providing home loans through simple procedures and enabling customers to avail a higher loan amount by considering their income and a corresponding effort to reduce the debt burden on them through the CLSS scheme. This initiative by the government is playing a significant role in stimulating demand for housing in the affordable category, empowering more people to fulfil dreams of home ownership. 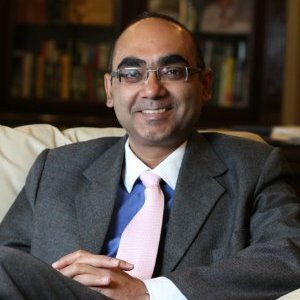 Mr. Harshil Mehta, is CEO, DHFL.